The new year has brought a number of changes including a full reorganization of our lab space. You might even say that we were ‘Marie Kondo-ed’, in that almost every nook and cranny was cleared out, reassessed, and reorganized. Functional spaces are more clearly defined and equipment is easier to reach. Navigation has also improved with fewer ‘dead-ends’ via a new bench layout. Consumables such as gloves & tips are situated in the middle which allows greater accessibility for everyone. 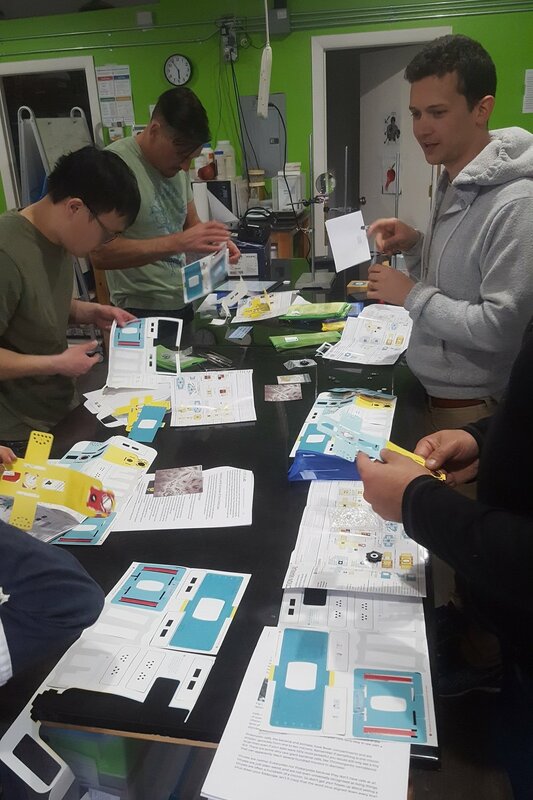 This effort was largely driven by the fact that we are currently supporting more workshops in the lab and needed a larger workspace in the middle that is available from all sides. Thus the 2 benches in the photo below picture are now prioritized for workshops while research projects, lead projects and group projects have priority for the benches on the left. New central bench assists various lab workshops. 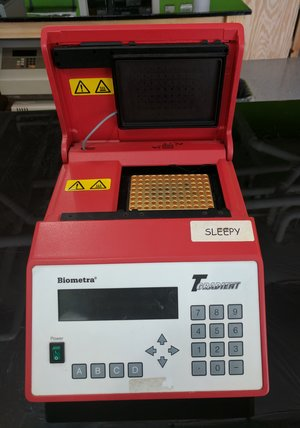 Our Opentrons is up and running with dedicated bench space. All commonly used reagents, instruments and equipment are now in the main lab space, clearly labelled and displayed. Storage bins are labelled as well. It’s worth noting that the storage room is now off-limits to members; it is reserved for staff and volunteers only. We have a separate space in the front for jackets and bags when hosting larger groups. There is also a new community notice board so please refer to it for the latest news. Old equipment is being sold off (good-bye Frosty the Freezer! ), which will create more usable storage space in the near future. We hope you enjoy the new set-up! 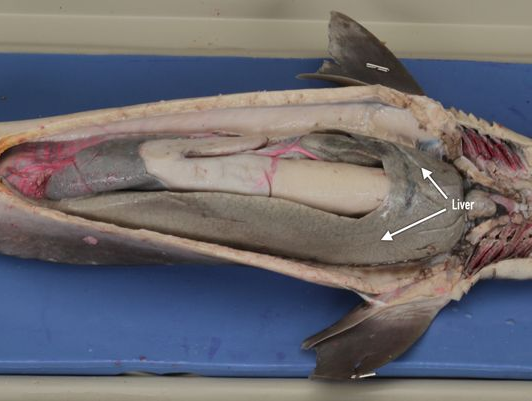 If you have trouble finding something because it has moved, please don’t hesitate to ask our lab manager. 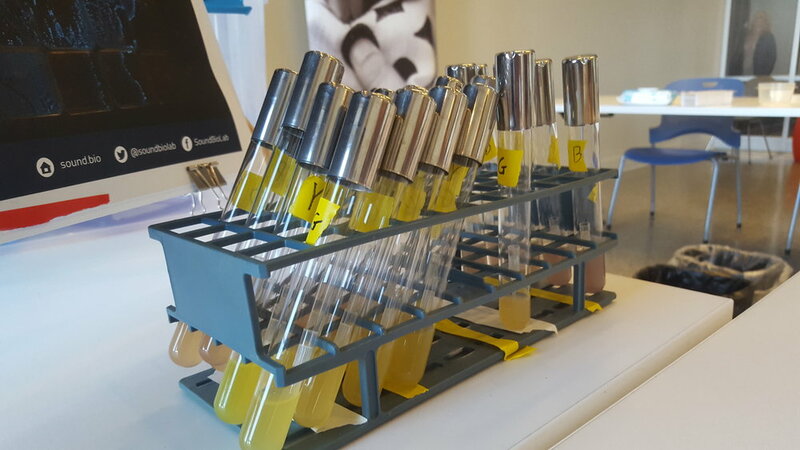 We’d like to give a shout out to Dr. Orlando de Lange for sharing his laboratory organizational skills. 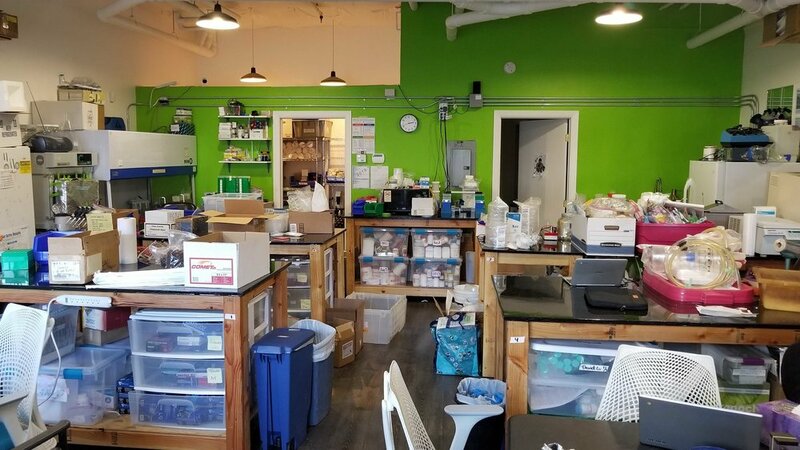 We think Marie Kondo would agree that our lab sparks a lot of joy! At 9 years old, Theo is our youngest Tinkerer member at SoundBio. 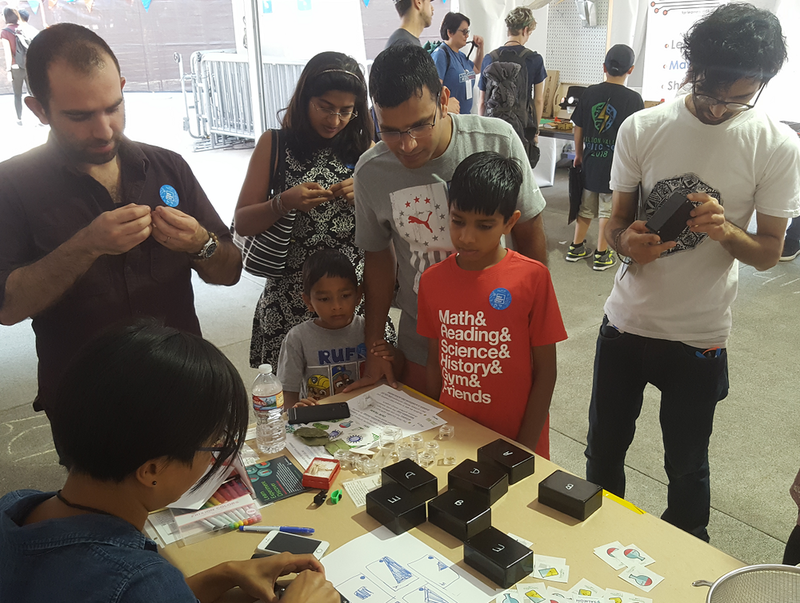 He happens to love all things science and because both of his parents are heavily involved in the SoundBio community, it’s no surprise that Theo participates in a wide variety of events. 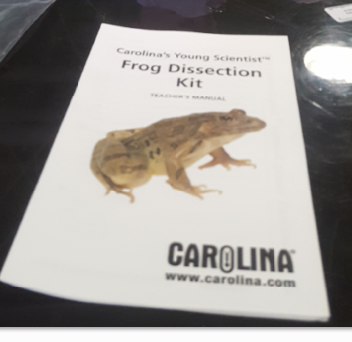 He also assists with testing new activities to determine the engagement factor for other Junior Scientists. Theo attended our Sign-Making Party for Seattle’s Science March and was featured in a Crosscut article about the event. 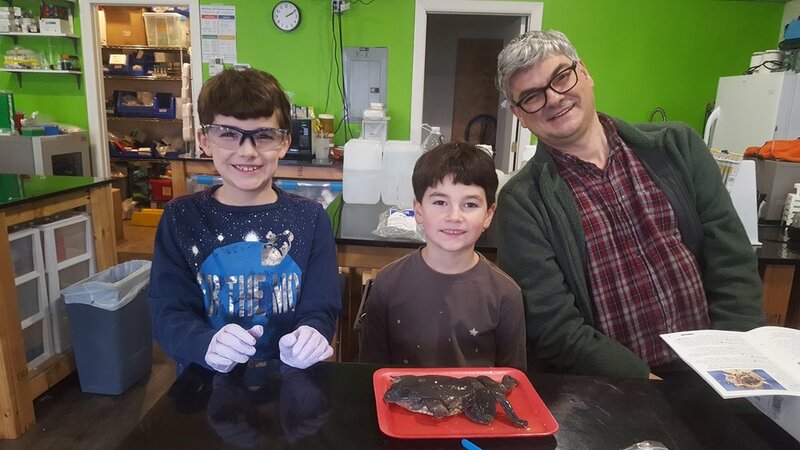 Theo with his brother Ty, and father, Dr. Herbert Sauro, getting ready to dissect a frog. 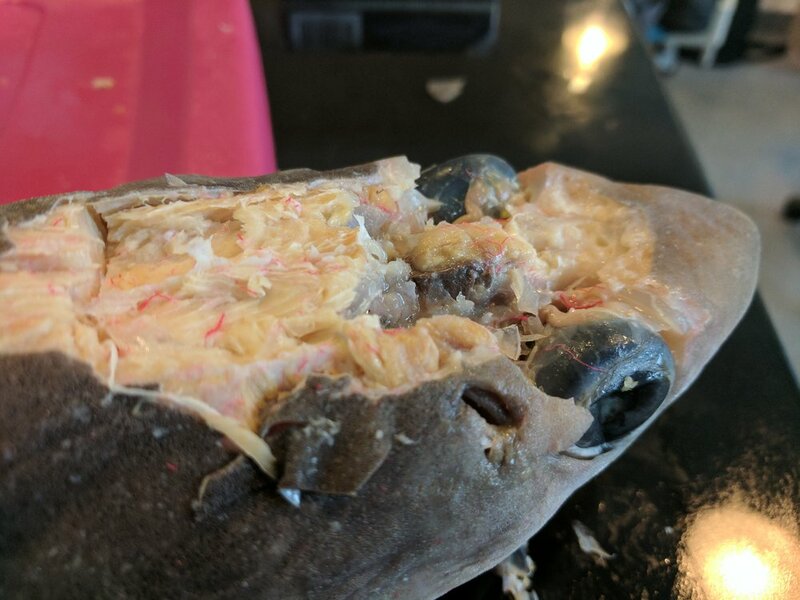 I didn’t even know you could dissect an animal! 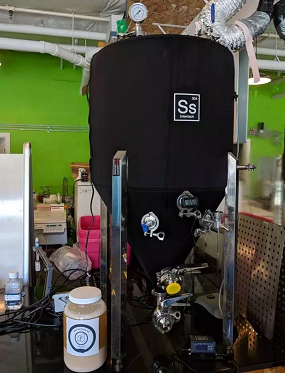 We sat down with Dr. Sleight, founder and CEO of Sleight Beer Lab to learn about his new business and the role that SoundBio has played in it. Can you tell us a little about your background and why you decided to become an entrepreneur? 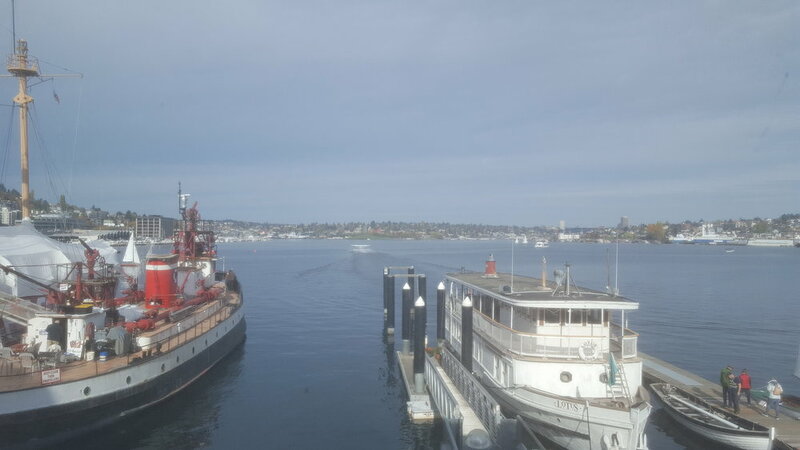 I moved to Seattle in 2007 after I earned my PhD in microbiology and molecular genetics from Michigan State to pursue a post-doc in Dr. Sauro’s lab at the University of Washington. While at UW, I studied a variety of things, including the evolutionary stability of genetic circuits and developing novel DNA assembly methods for synthetic biology. This work led to a job at Matrix Genetics where I was a manager in their synthetic biology group. We were responsible for developing synthetic biology techniques used to genetically alter bacterial strains. At the time I was an avid homebrewer and interested in pursuing brewing science as a possible career path. Matrix Genetics ended up closing shop, so I decided that was as good a time as any to start a business. Without SoundBio, what were the key barriers that would've prevented you from being able to attempt your project? Everything! Rent, lab space, and of course equipment. I would have had to pay thousand(s) a month to have a lab space because a standard office space wasn’t an option. 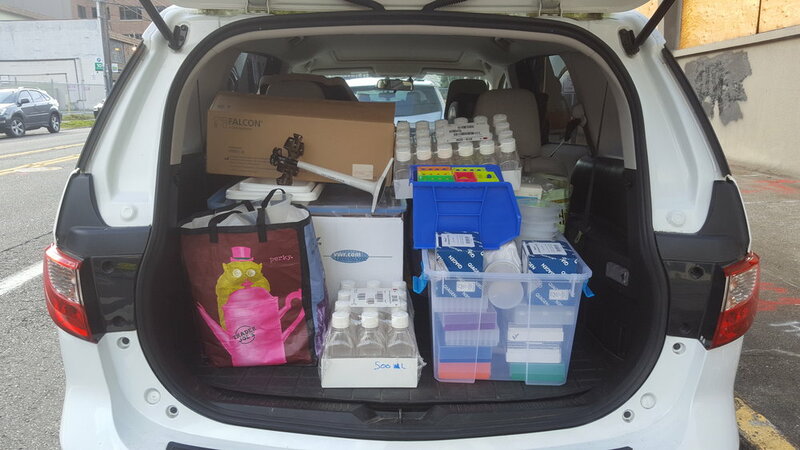 It needed to be a lab….so really, it was the only financially viable option that included access to lab equipment. What impact from your Sleight Brewing work are you most proud of during your time running it at SoundBio? Finding a unique yeast strain that other people can use to make great beer. I can now go to a brewery, order a beer, and know that it was fermented with my own strain. That is very exciting and cool. It was possible because I could do brewing science at SoundBio. How did SoundBio help with your transition between jobs? The 2nd choice was obvious given my financial constraints. There was too much risk and uncertainty with option 1, not to mention the time frame would likely be years. Yeast Propagator to make 5+gallon pitches. How, if at all, did being connected to and interacting with the SoundBio community (its members and others who would drop in from time to time) help you on your project? I received a lot of moral support, particularly from Mike, a SoundBio co-founder. He offered a lot of encouragement. Zach was also very interested and supportive. 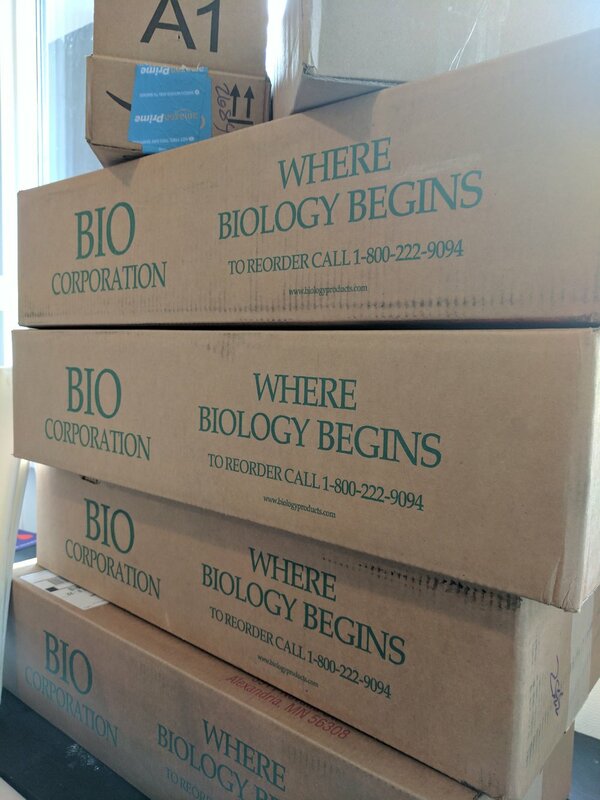 I felt like SoundBio was taking a bit of chance on this project and new business. They could have said no, but instead, SoundBio embraced the unknown, and I am tremendously thankful for it. 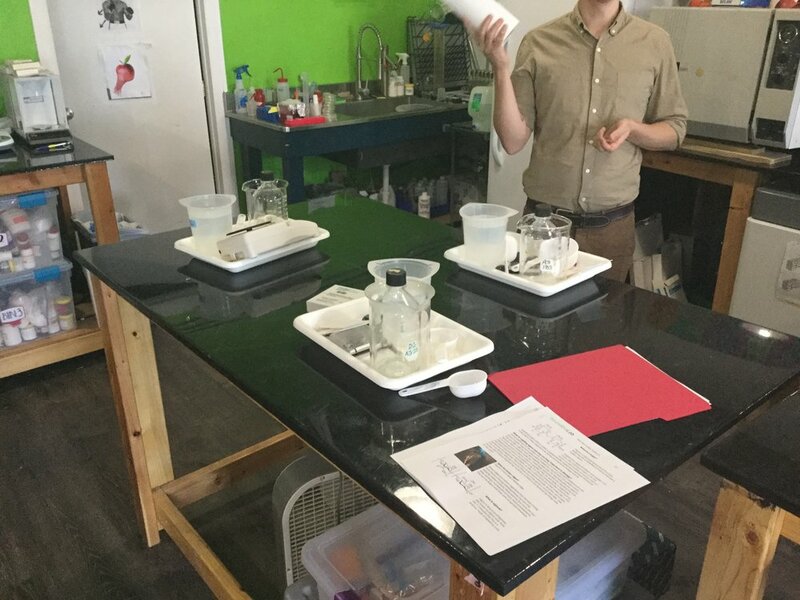 Little things in the lab made a difference: I was given specific equipment training (as needed) and both Zach and Yoshi were great sounding boards to bounce ideas off of. So it’s really a combination of moral support, and having some technical expertise that was most helpful. What are some ways that SoundBio could improve its ability to enable more entrepreneurs in the future? 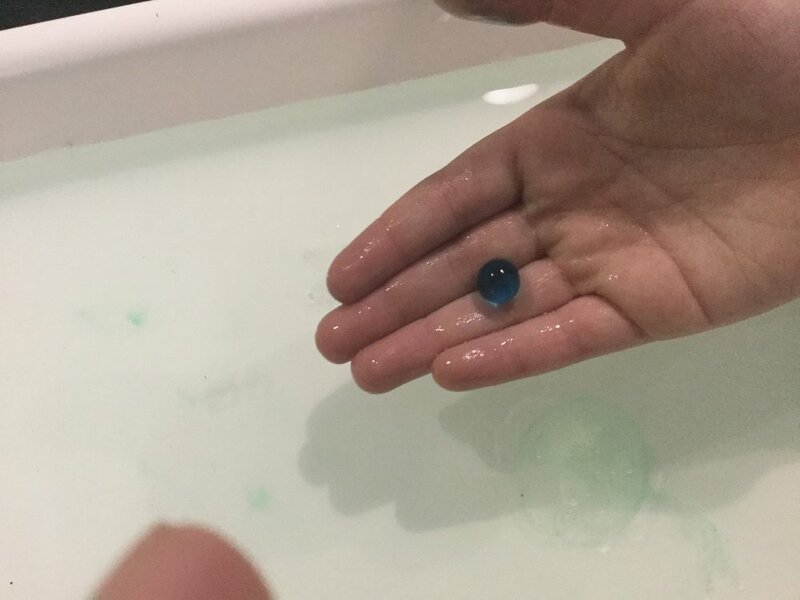 It’s actually pretty amazing already, what’s going on at the lab. I have no real complaints and there were no specific barriers that prevented me from doing anything for my business, Sleight Beer Lab, so any feedback would be minor. One issue that could be improved is scheduling of large groups. 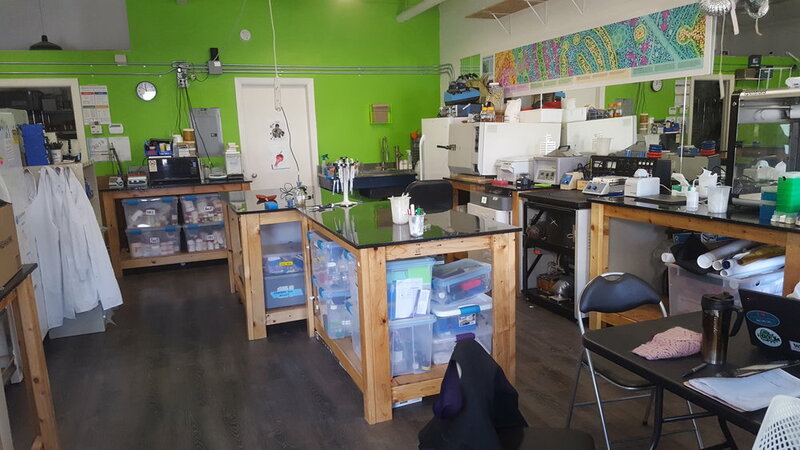 It did get crowded sometimes when there were 12 iGEM kids in the lab, so knowing that schedule ahead of time would be helpful, but I fully recognize that it’s a community lab and it will get busy. Beer Agar Plates sold by Sleight Beer Lab. 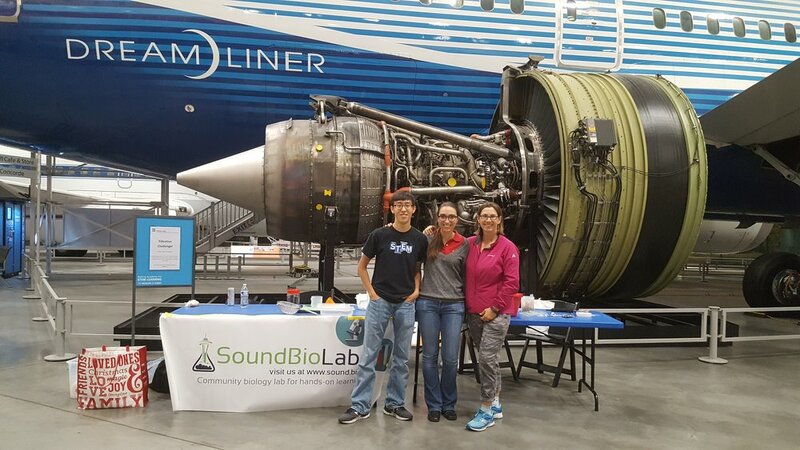 SoundBio is a community of amateur and professional science enthusiasts dedicated to providing access to biotechnology, equitable science education, and supporting the next generation of young scientists. How does Sleight Beer Lab both benefit from, and help support SoundBio’s mission? 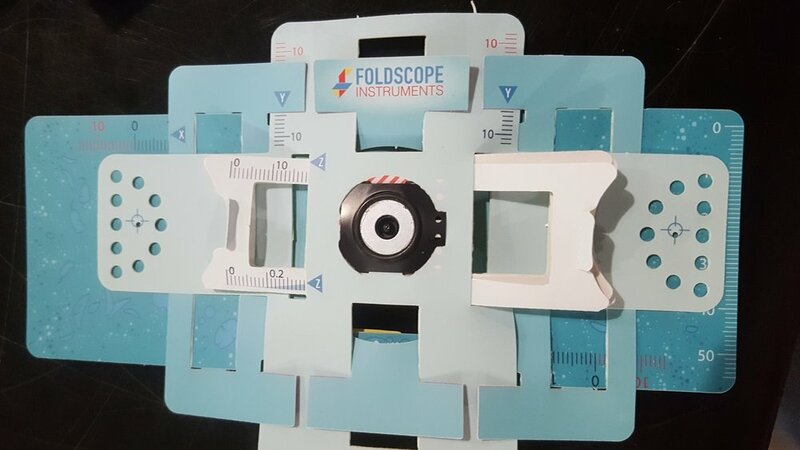 By using SoundBio’s lab space, I was able to start a business with very little upfront risk at a fraction of the cost. My business never could never have existed without SoundBio Lab. 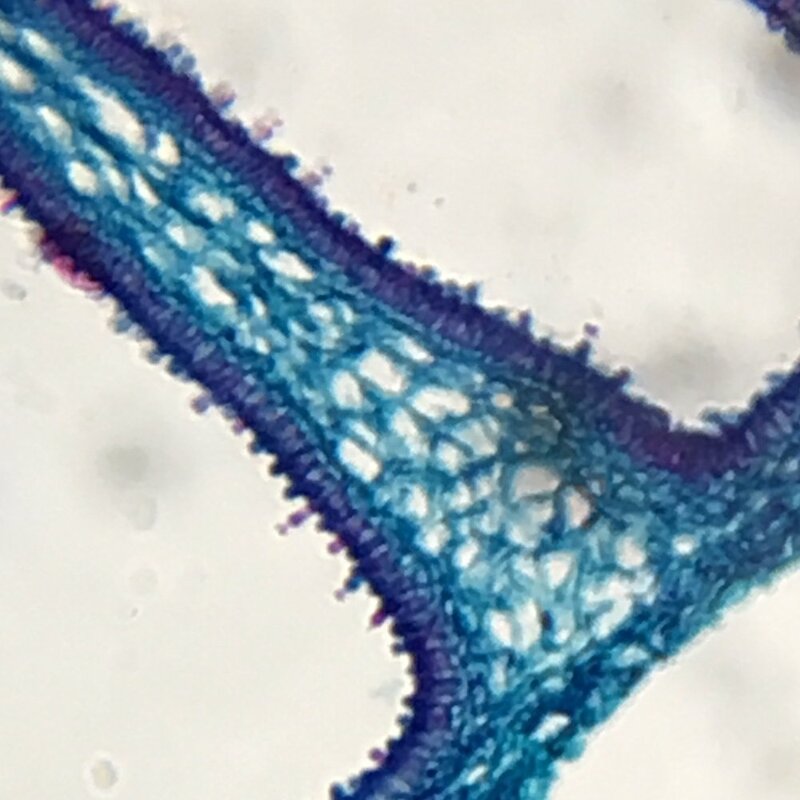 Broadly speaking, SoundBio allowed me to use my wet-lab skills to help bring biotechnology to the brewing industry - to solve real world problems. So I think this clearly made an impact, and benefited my clients who are not trained in genetics, microbiology, or fermentation analysis of yeast strains. It is also exciting to know that through my work in the lab, I was able to identify and share new, robust yeast strains that can used to ferment high quality beer - for many others to enjoy! I learned recently that one brewery in Seattle is now using my yeast as their house strain. I also taught a workshop on yeast, which was fun to do, and I think benefited many homebrewers in the area. I did my best to give back to the SoundBio community directly by teaching others. 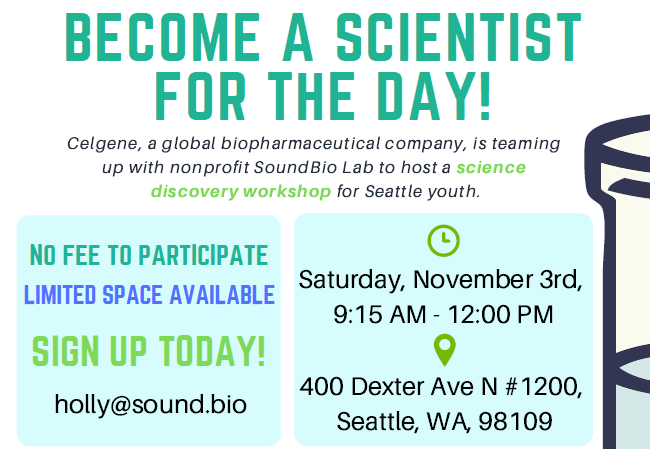 I love that SoundBio welcomes and accepts amateur scientists (not just professionals). During the past year, I helped train 2 interns, teaching them molecular biology and microbiology as related to the beer industry. This was done in part because it’s fun to give back (once you know something, teaching is fun), but also because it was great to see so much enthusiasm for my work. 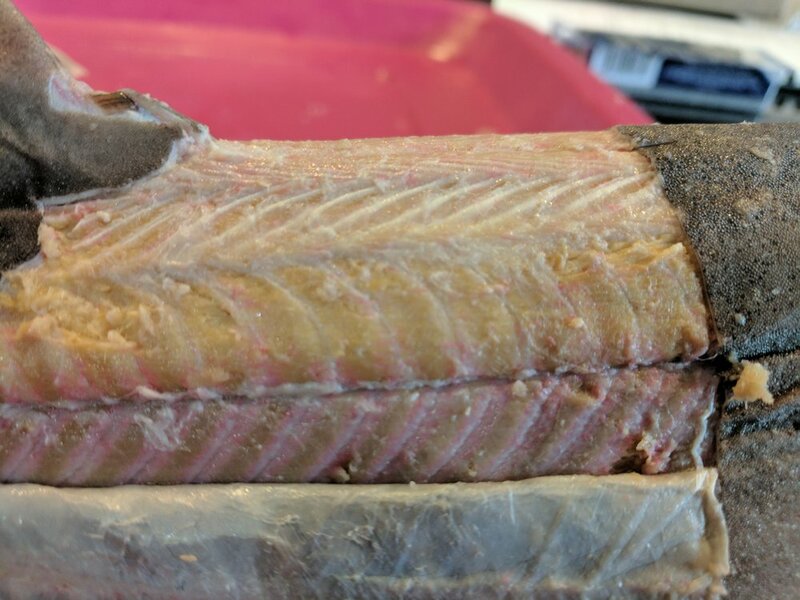 It was mutually beneficial and is part of the culture at SoundBio. 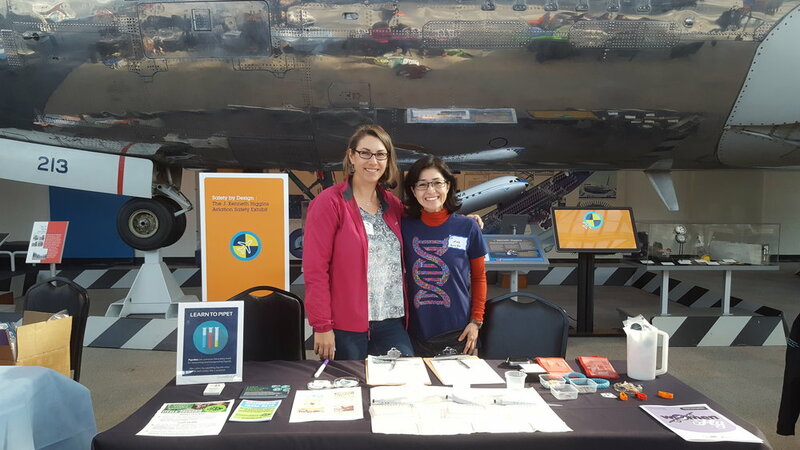 SoundBio was delighted to be featured as a Maker for the Museum of History and Industry (MOHAI) Maker Day event on Saturday, Oct 27, 2018. MOHAI - the Museum of History and Industry is located in South Lake Union - Seattle, WA. 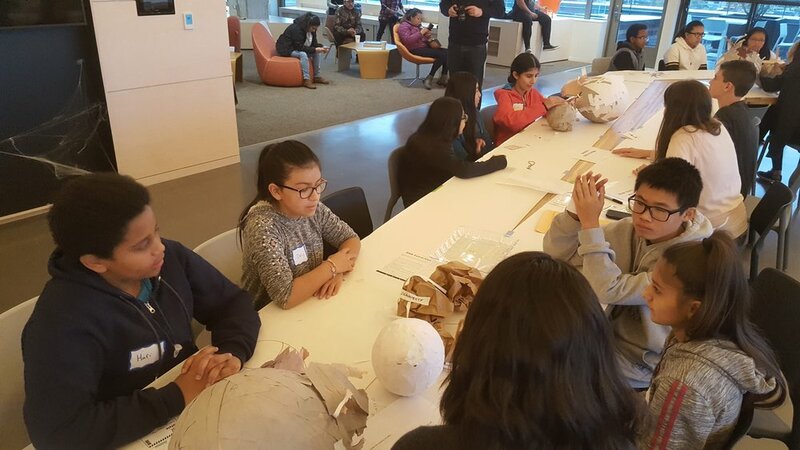 This series runs once a month at the Museum of History and Industry, and features a new Maker group each month. 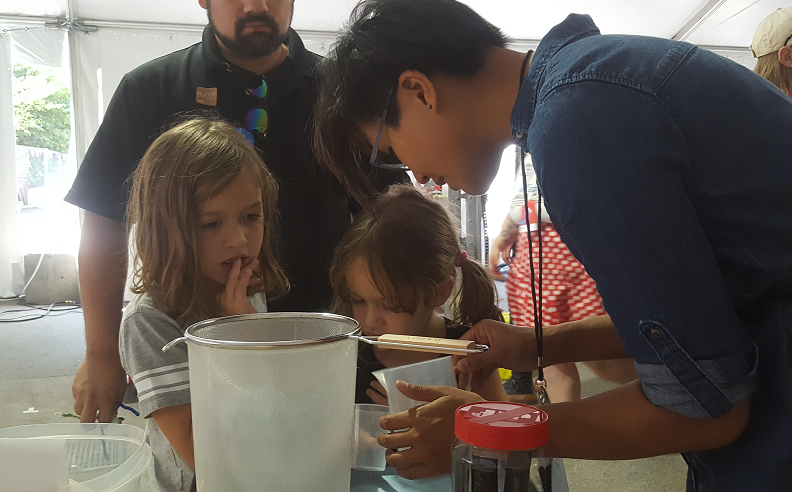 We were asked to host our ‘Painting with Bacteria’ activity which is always a crowd favorite. 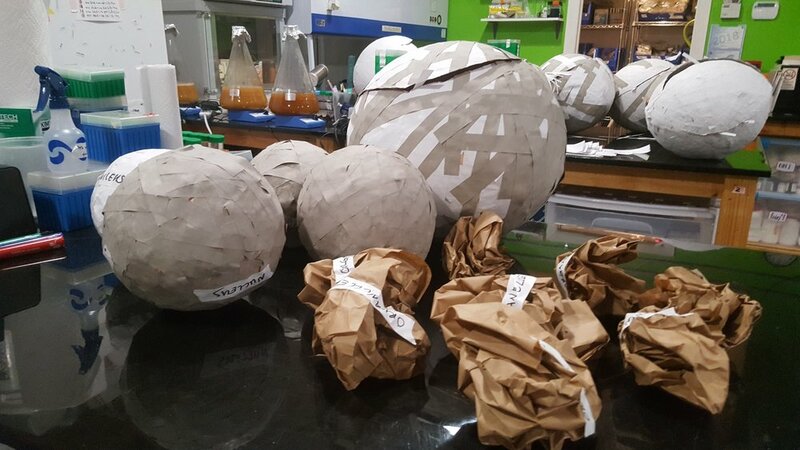 In order to create your own microbial masterpiece, you need special bacteria based ‘paint’ that we grow in the lab. Using a Q-tip, participants dip into a tube of liquid ‘paint’, and gently paint onto an agar-coated petri dish. The agar is food for the bacteria, so after folks finish painting, we incubate the plates overnight to allow the bacteria time to replicate and grow. The key to this activity is getting the right strain of modified E. coli bacteria (that is safe to handle too!). 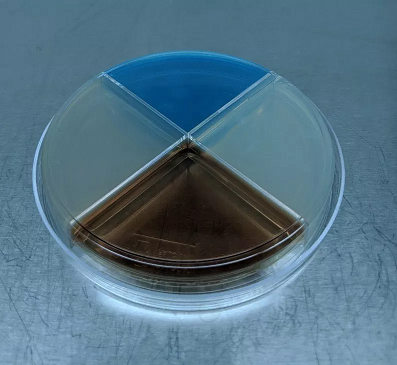 So how do these bacteria strains express different colors? They’ve been altered to include a small, circular piece of DNA called a plasmid. These plasmids have an additional gene inserted in them, and that gene can express a different color or fluorescent protein. In short, scientists have found the genes responsible for these proteins, isolated them, and have learned how to genetically engineer other organisms (like E.coli) to express these proteins! Amazing, right? Of course you can find fluorescent proteins in nature too, the most famous being Green Fluorescent Protein (GFP), which was first isolated from the jellyfish, Aequorea victoria. Once isolated, this gene proved to be a very useful tool for research scientists. 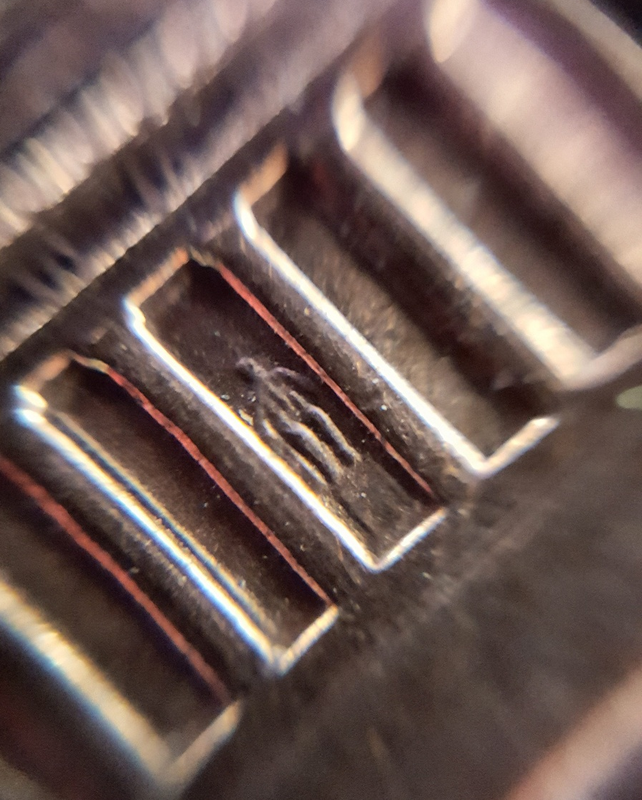 In this case we’re using it for some artistic fun! Check out our set-up and a few pictures of folks enjoying this event. After the plates grew in the incubator, we snapped another set of images - UV light, and white and black backgrounds (below). The full set were recently shared with the participants and are located HERE. 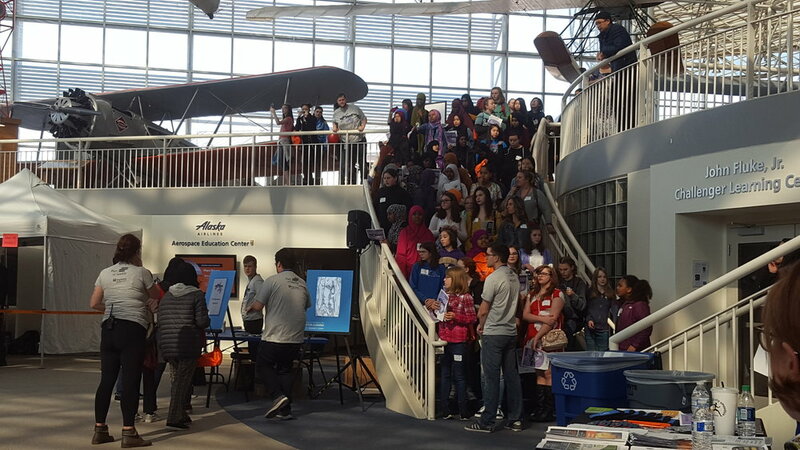 Finally, we’d like to thank MOHAI and our wonderful volunteers for helping to make this fun, hands-on event possible! 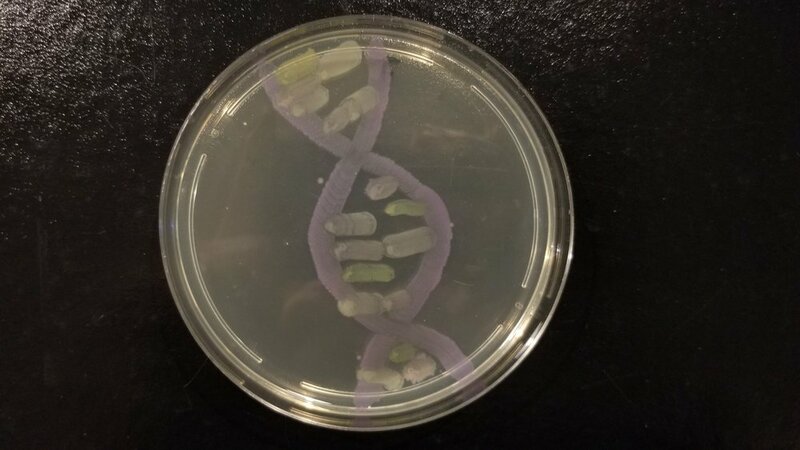 Above are a few fun examples of our participant’s plates after incubation. Very creative! 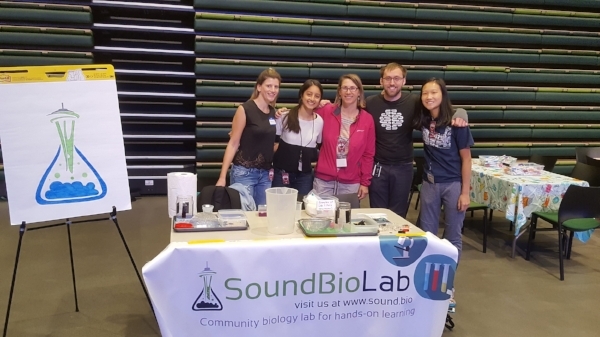 The iTesla-SoundBio high school iGEM team recently attended and presented their research project at the annual iGEM Giant Jamboree held in Boston, Oct 24-29, 2018. The iTesla-SoundBio iGEM Team in Boston, MA. Fall, 2018. 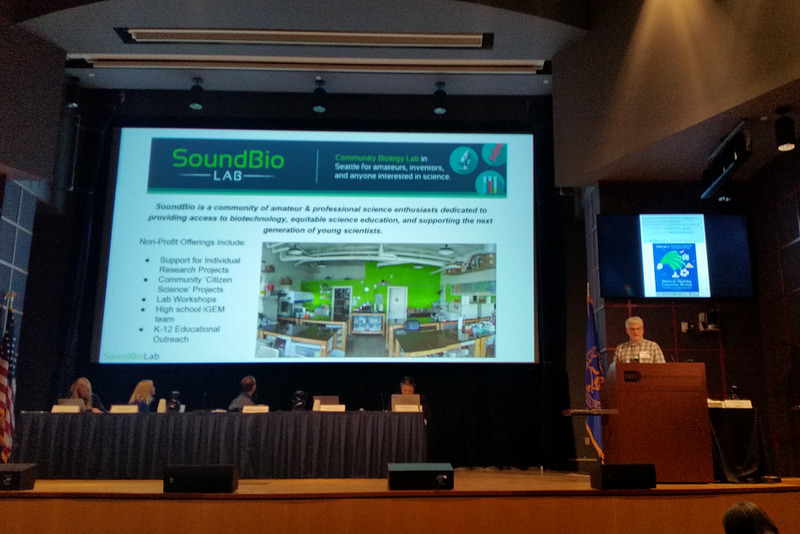 At the Jamboree, iTesla-SoundBio was able to present the project that they had been working on for the past year in SoundBio’s labspace. 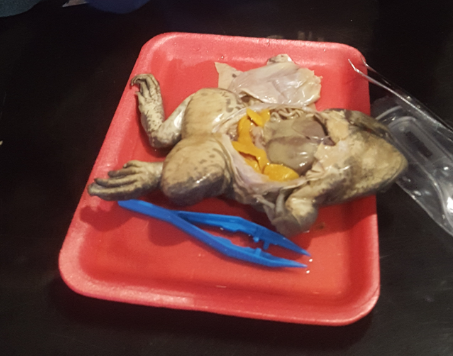 Their 2018 project focused on synthesizing a protein called Factor C. This protein is found in the Limulus amoebocyte lysate assay that coagulates in the presence of endotoxin. At the Jamboree, iTesla-SoundBio was delighted to be awarded Bronze for their project! The team learned more about the field of synthetic biology, met some amazing teams from around the world, and had a blast doing it. The team in front of their poster. 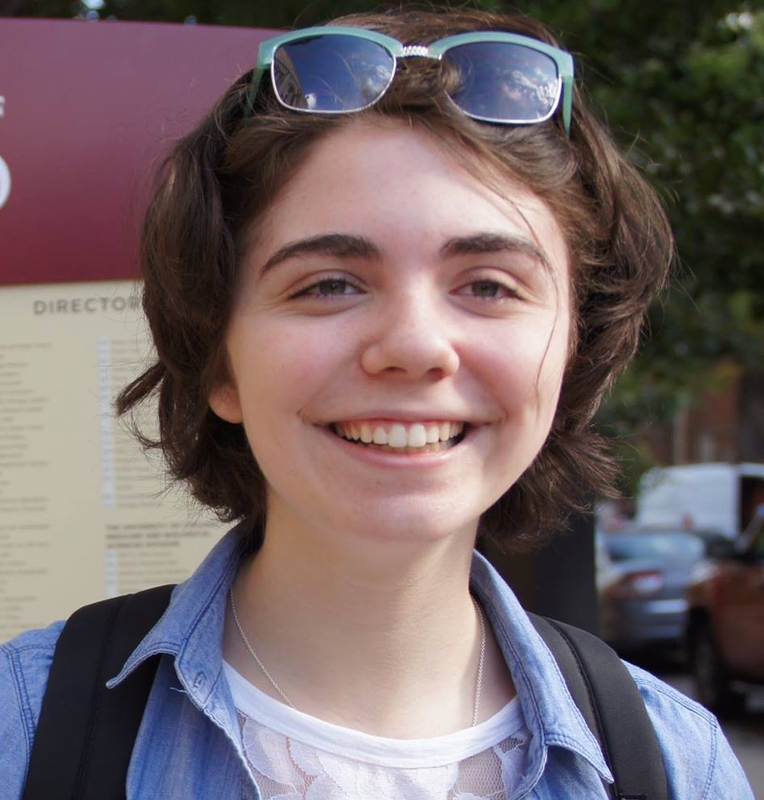 To learn more about the iTesla-SoundBio iGEM team or to join them for their upcoming (third!) season, check out their dedicated website !